◊ Residence—The Master’s in Global Korean Studies is a two-year program. Students will be expected to be in residence at Sogang for at least two semesters. Students will be strongly encouraged to spend at least one semester at a Sogang-affiliated university in Asia. ◊ Courses—Students will be required to complete a minimum of twenty-four credits that satisfy Department of Global Korean Studies requirements, including one course designated by the program as mandatory. ◊ Language(s)—Courses in the Department of Global Korean Studies are taught in English. However, Korean language skills are required to successfully participate. Students, therefore, are expected to have native or near-native fluency in English or Korean and working knowledge of both languages before entering the Master’s Program in Global Korean Studies. Students will be encouraged to learn a second East Asian language, especially during the time they spend abroad. The Master’s Program in Global Korean Studies has an exchange program at its foundation. Students in the program will be encouraged to spend as much as one year abroad as part of their Master’s Degree in Global Korean Studies at Sogang’s renown partner universities in Asia and around the world. 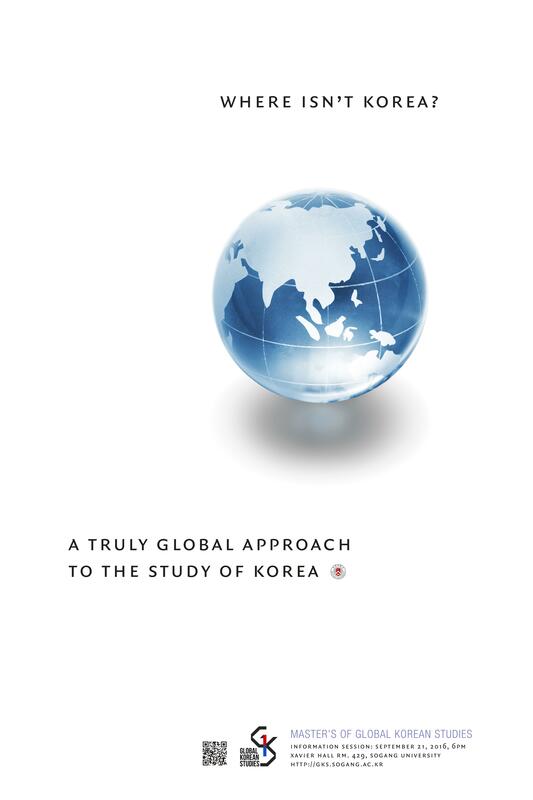 As part of Sogang’s School of Integrated Knowledge, the Department of Global Korean Studies offers a truly trans/interdisciplinary education to students attending its Master’s Program. English-language courses in Global Korean Studies engage advanced topics related to Korea and the Korean language while encouraging students to investigate Korea from global linguistic perspectives.